While most women use a home pregnancy test to find out if they’re pregnant, sometimes you want a test at the doctor’s office to be sure. At Selma Family Care, PC, in Selma, Alabama, Dr. Sean Bohannon is well-trained in maternal medicine and can do the necessary tests to find out if you are pregnant, and if you are, how you and the baby are doing. Call the office or book your appointment online. Some home pregnancy tests claim they can give you accurate results on the first day you’ve missed your period. But results are likely to be more certain if you wait a few more days, or even a week after your expected period. That’s because after a fertilized egg implants in your uterine lining, the placenta forms and produces a hormone called human chorionic gonadotropin, or HCG. Early in your pregnancy, your HCG levels double in two days or so. Since it’s the HCG that a pregnancy test detects, waiting a bit longer after your period was due can make the results more accurate. But if you’ve been told that you should confirm a pregnancy early — so that doctors can monitor the baby’s progress, for example — Dr. Bohannon can order tests that can often confirm or rule out a pregnancy earlier than a home pregnancy test. What tests do you do to see if a woman is pregnant? Can a home pregnancy test be inaccurate? It’s rare, but it does happen. Getting a positive result but later finding out you’re not pregnant is called a false positive. That can happen if you lost a pregnancy soon after the fertilized egg implanted or if you take a pregnancy test soon after taking a fertility drug that contains HCG, the same hormone that indicates on home and some other tests that you are pregnant. An ectopic pregnancy — a pregnancy that occurs outside the uterus — as well as menopause and problems with your ovaries could all result in a false positive on a home pregnancy tests. If you’re concerned about either the positive or negative results of a pregnancy test, call or book an appointment online right away. 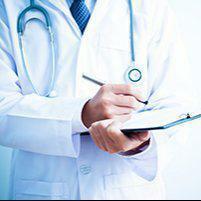 Dr. Bohannon can order tests that let you know for sure and advise you on the best medical care.